Today we will highlight Water Blooms. I love the soft round flowers Kryssi had created. It is so simple but yet it would add a ton of delicateness and softness to any project! It makes me want to sprinkle them everywhere! Aren't they so dreamy? Take a look at the pretty cards from our Design Team! 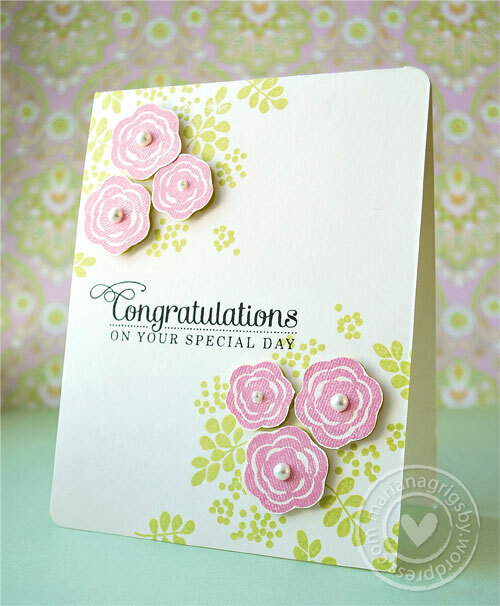 Savannah used one of the flower stamps from this set with chalk ink to create that background design. 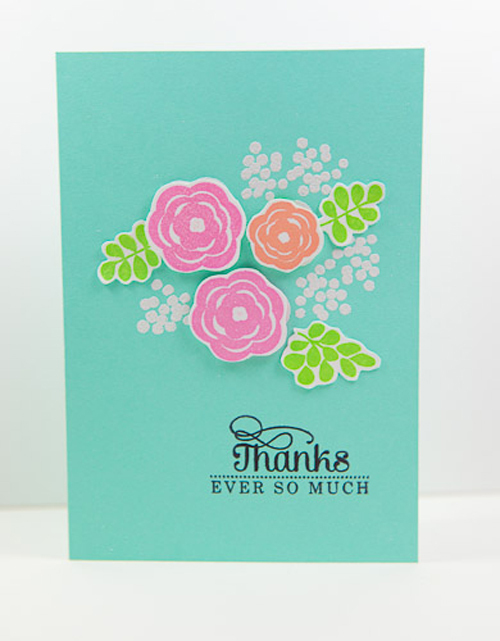 She highlighted the sentiment with coordinating ink and then fussy cut a stamped flower image as an extra embellishment. 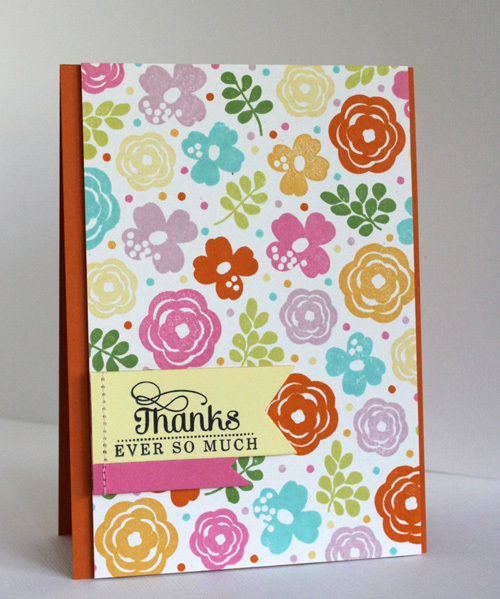 She says that she loves this color combo and mix of patterns and designs! 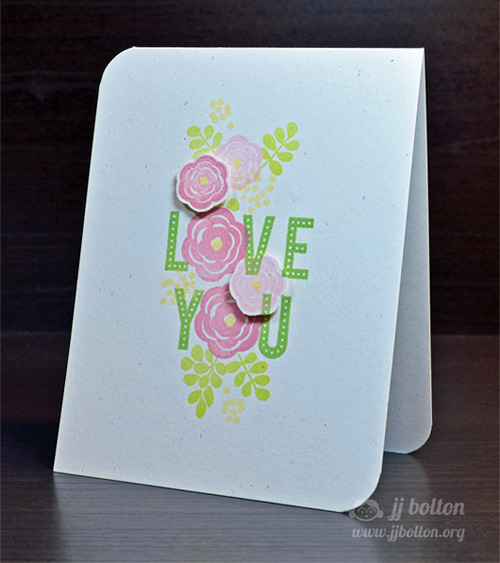 Using colorful inks, Alice created the lovely background on this card. and she finished it off with a touch of lovely pearls. and giving it some dimension. to create this custom sentiment. 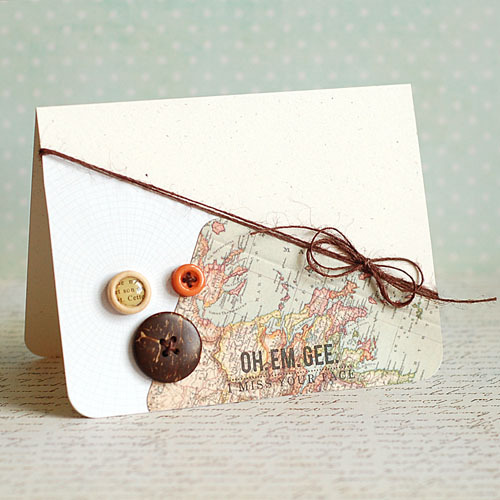 Lea created a custom sentiment by pairing this new stamp set with "Good Times"
and paired them with a map/neutral theme. Wow. I am so impressed with all of these--they are amazing! Wow! I am so blown away by these cards!! Especially by how unique and different they are! Wow!!! Just brilliant DT cards!! Great job, Designers. You showcased this new set beautifully. It's very versatile. soooo awesome as I knew they would be! Wow - what a talented design team you have - and their showcase of the Water Blooms are ever so gorgeous and unique! Pretty, versatile, and all around lovely!! Thanks for sharing and inspiring! I had to go back and find out what stamps from the set Lea used - cool mixing of the different sets. I really like how ME stamps can be used with other ones from different sets to make just the right phrase/image for your projects. LOOOOOOOVE these samples! I LOVE that each DT member has created something different with these stamps-- FAB! 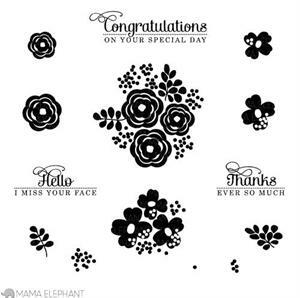 Love this gorgeous stamp set! These are all so beautiful...I have been holding out on buying a set with these types of sweet flowers and now I have found the set I need. This is beautiful.